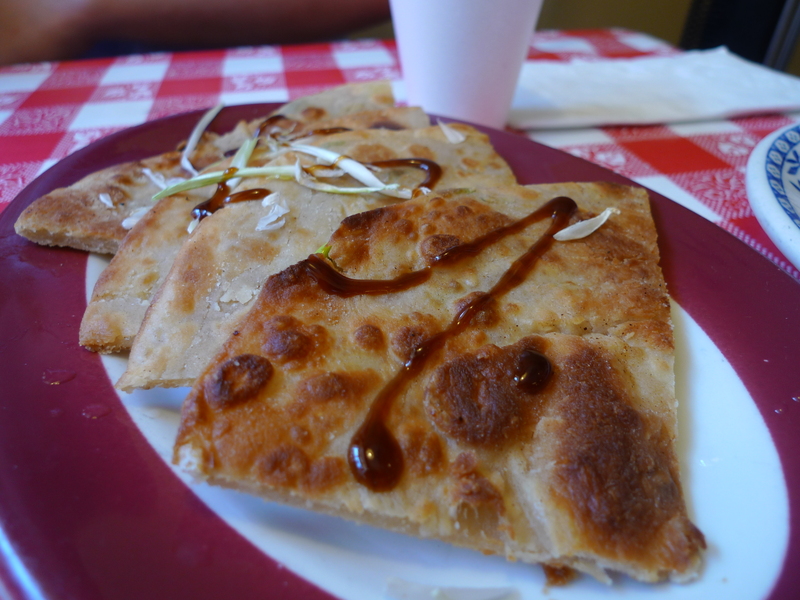 I had been hearing the buzz about Nom Wah Tea Parlor for a while now and I was curious to check out this Chinatown spot that had made its way into mainstream consciousness (aka not just from Asian people). 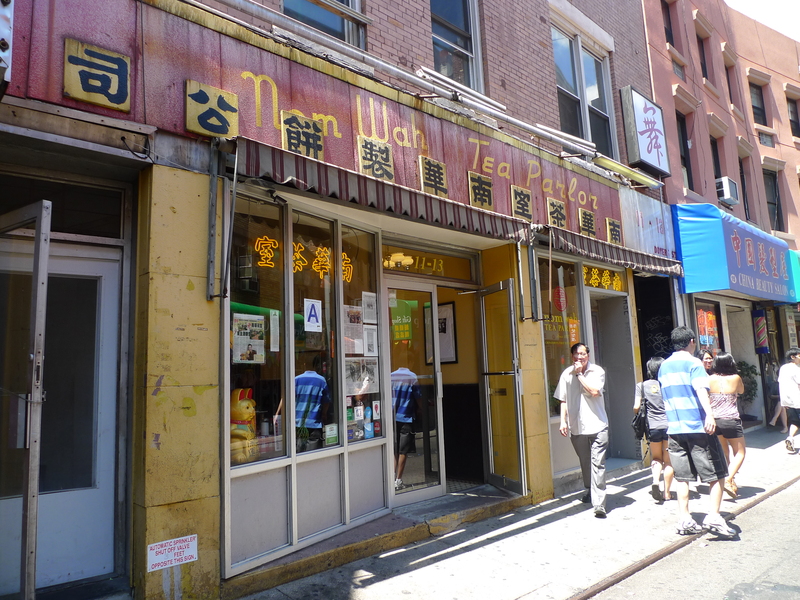 Nom Wah Tea Parlor first opened its doors on Doyers Street in 1920 as a bakery and a tea parlor, and it quickly gained recognition for its traditional Chinese sweets, including their almond cookies and homemade lotus paste and red bean filling for moon cakes during the Chinese autumn festival. 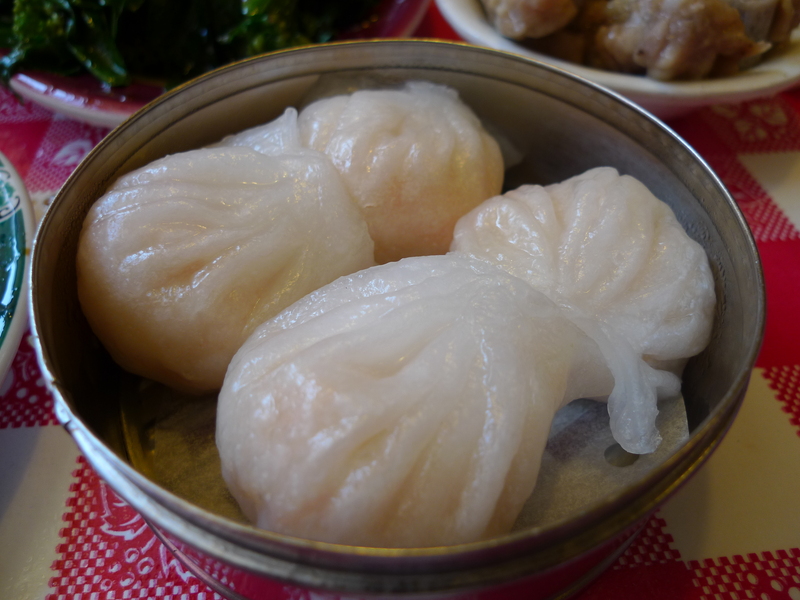 Over the years, Nom Wah has changed management (from the Choy family to the Tang family) and address (just one store over) but it still has maintained its old school charm and authenticity as the first and longest surviving dim sum restaurant in Chinatown. 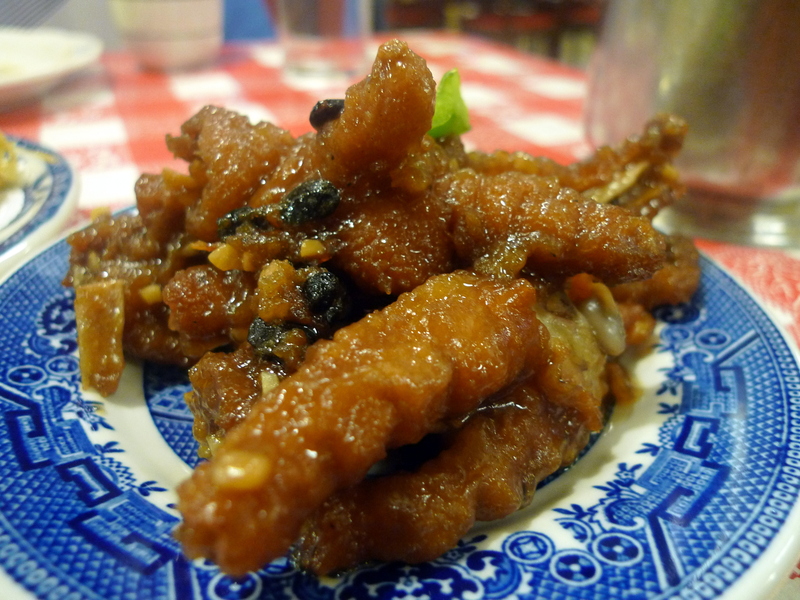 In 2010, the second generation of the Tang family assumed management of Nom Wah and with that came a few renovations to bring this restaurant legacy into the 21st century. Wilson Tang, the nephew of former owner Wally Tang, revamped the tea parlor with a new kitchen and technology upgrades. 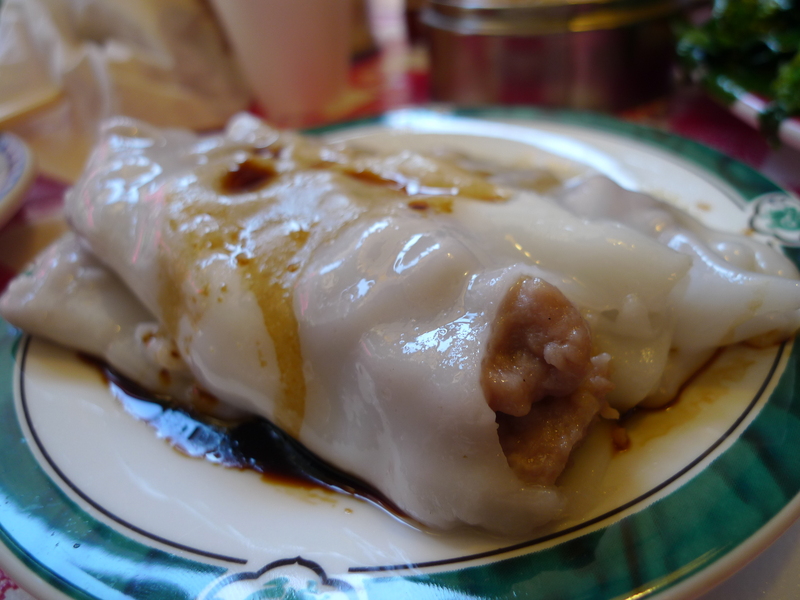 He also replaced the traditional “cart ladies” with an entire menu of freshly made-to-order dim sum. 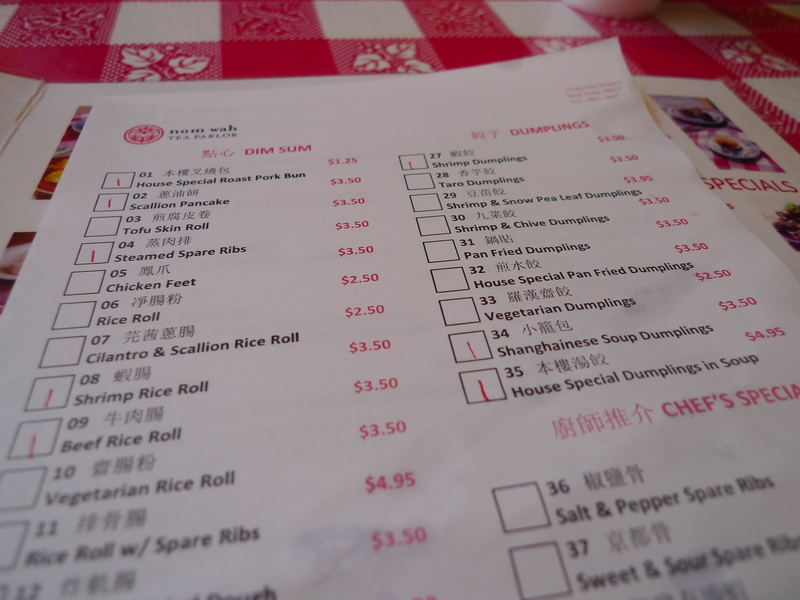 With the assistance of the new bilingual photo menu, you place your order by marking down the quantity of dishes you want on paper (much like how Red Egg operates). Now young, second generation ABC (American Born Chinese) servers clad in white casual tees and hipster skinny pants stroll around to take your order in perfect English. 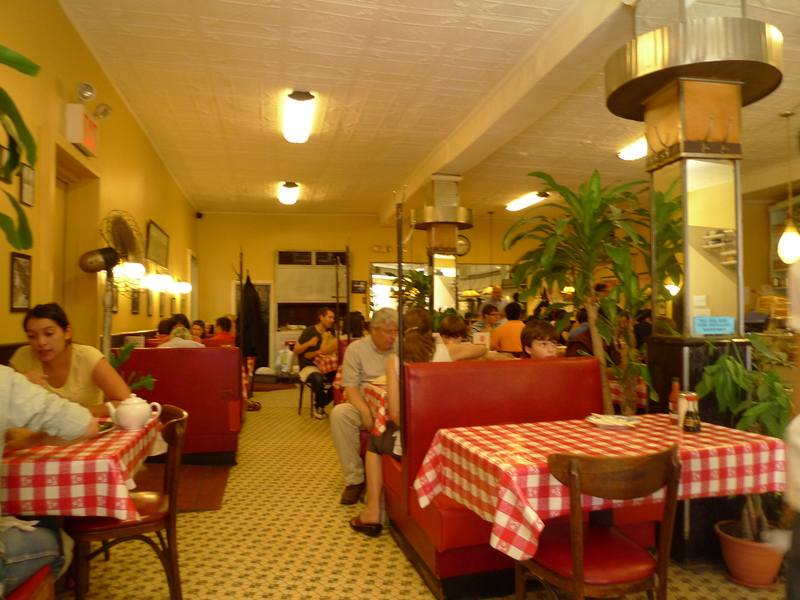 However, the vintage decor remains intact with the faded red and yellow sign and the antique cash register to the tile floors and red and white checkered picnic table coverings. I liken it to an Asian Pastis with its retro trendy feel. And it does feel a bit more like MePa than Chinatown because there weren’t a whole lot of Asian people there. Considering the swanky speakeasy Apothéke is right next door, Doyers Street has always attracted a little different demographic than your stereotypical Chinatown. Nom Wah is a little bit more expensive than other dim sum places, but that just means you would spend $20 per person rather than $10. The fact they charge $1 per person for tea (or $1.50 for Chrysanthemum) is a strange concept for me, as I am used to that coming to the table before the free tap water. However for the amount of food you get, the price is definitely a good value. Nom Wah portions are basically American super-sized, and so when I ordered my usual 3 plates per person, I quickly realized I had way over-ordered. 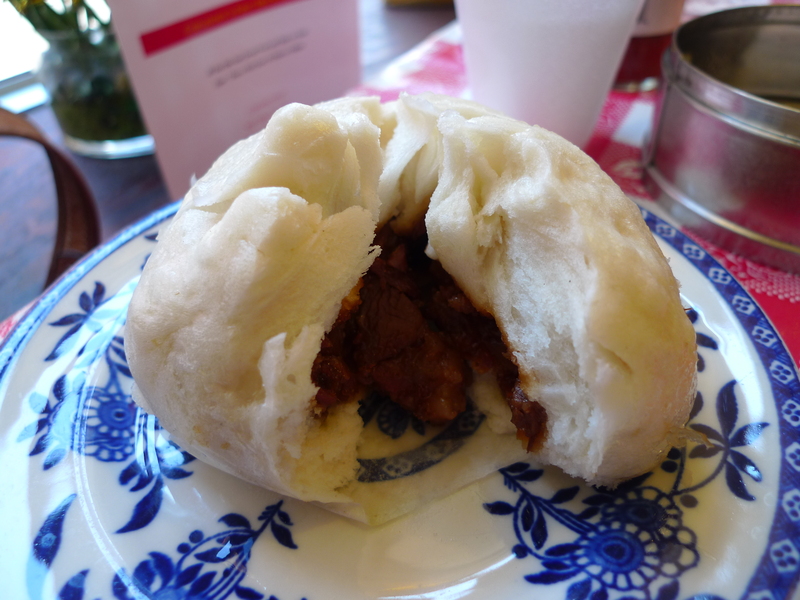 I found my char siu bao (steamed pork bun) to be comically large… but it was seriously good. 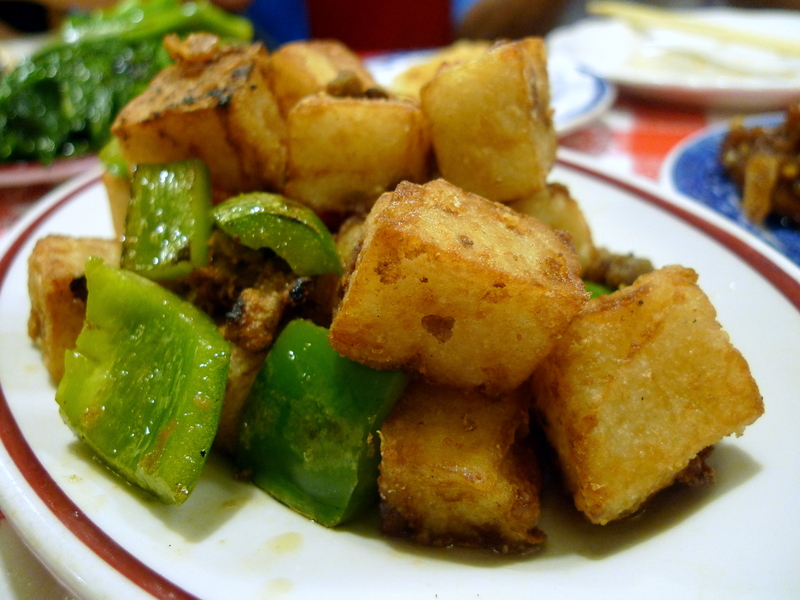 Overall, I was quite impressed with the food quality here and my lazy self is glad to have found another reason to avoid the trek out to Flushing for good Chinese food. 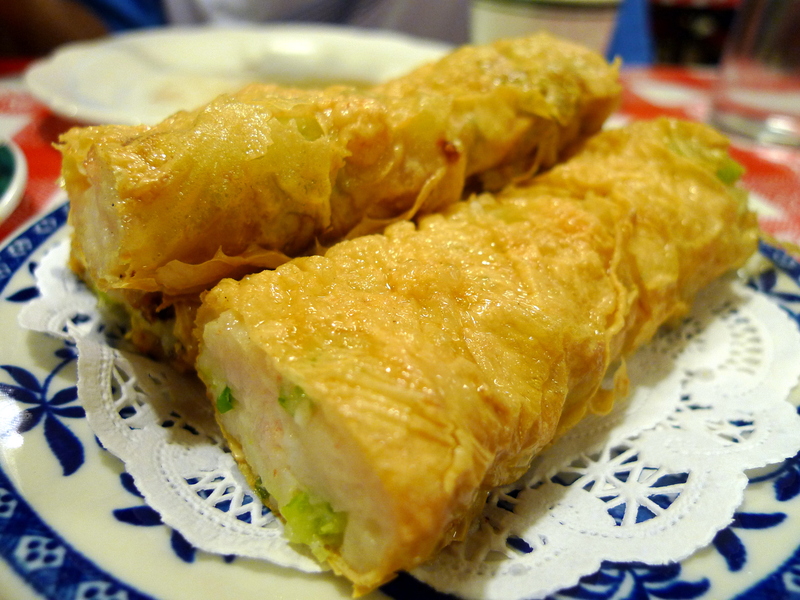 I stuck to the more traditional dishes, although if you are feeling adventurous and want a bacon-wrapped minced shrimp roll with mayo… then go for it. 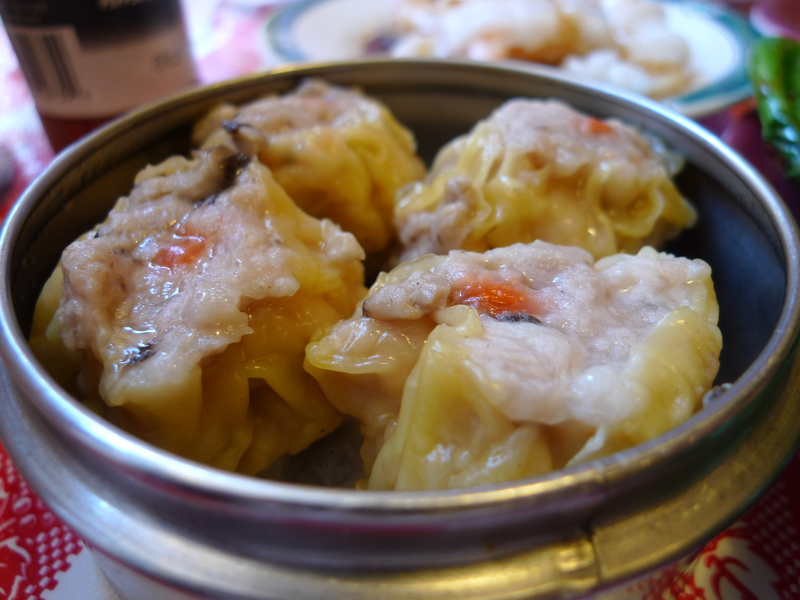 I’d pass on the Shanghainese dishes including the soup dumplings and scallion pancakes… just as a general rule, stick with the Cantonese dishes for dim sum! 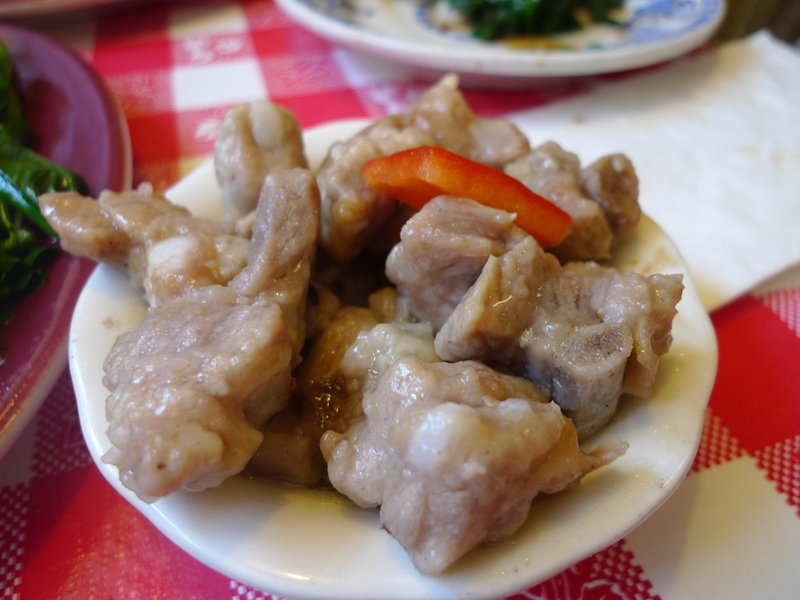 For more Chinatown recommendations, check out my Chinatown Food Crawl. The shrimp ratio to wrapper was amazing — do they use jumbo sized shrimp on steroids? This dish in particular was very nicely done, you could taste the “made to order” freshness… I liked it better than 88 Palace! 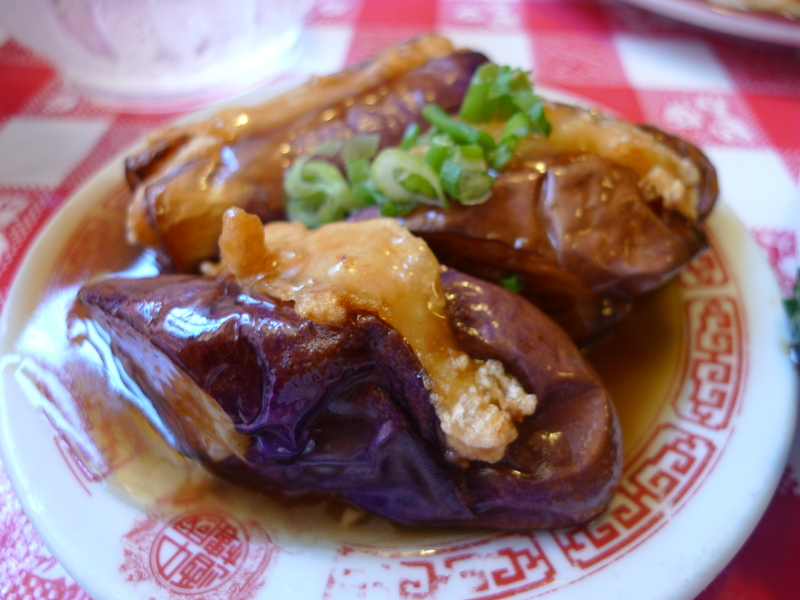 Double yum… one of my faves! 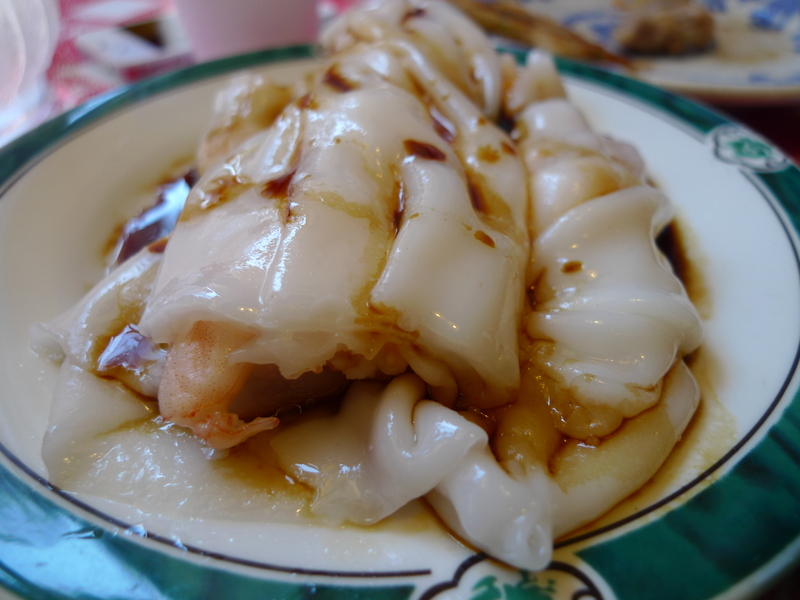 Fluffy steamed rice noodle with those jumbo juiced up shrimp! 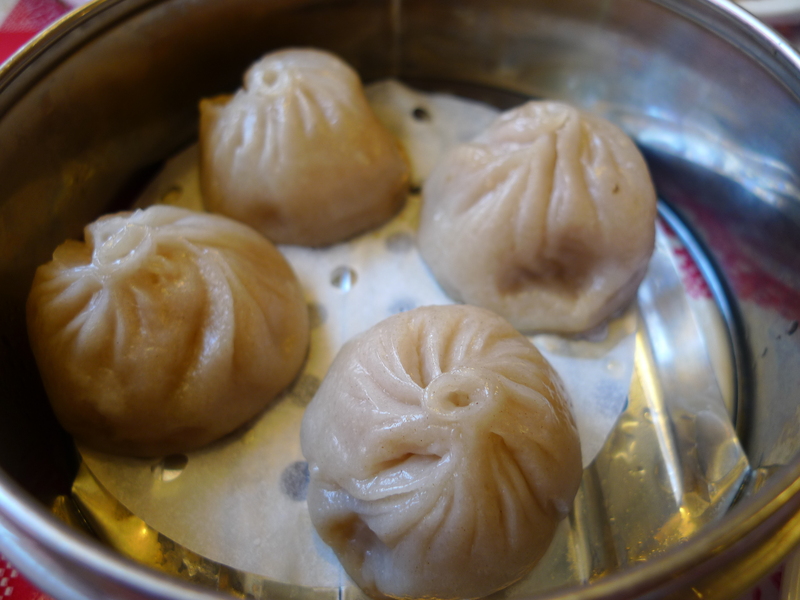 A wee bit dry… stick to an actual Shanghainese restaurant (Joe’s Ginger or Shanghai Cafe Deluxe) for soup dumplings! 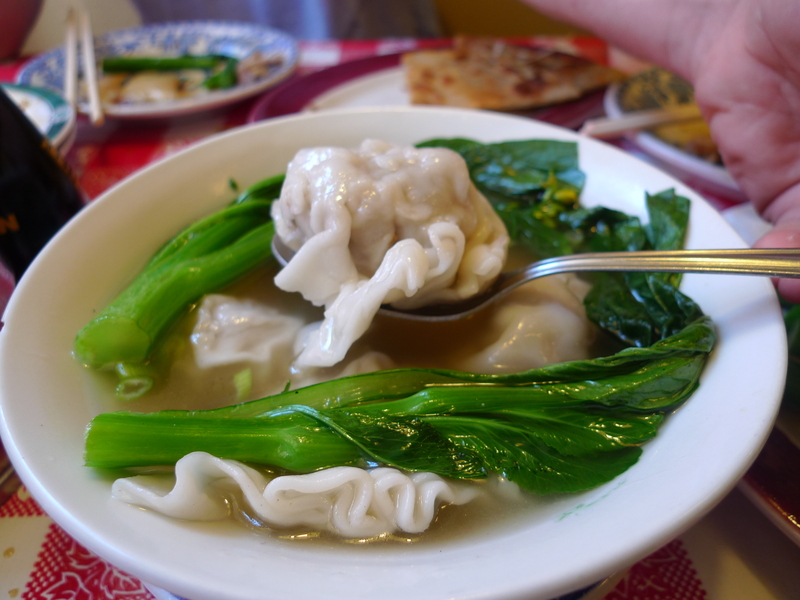 I ordered this on accident as I meant to get the pan fried dumplings but it all worked out in the end as this was much healthier and the broth was light and delicious! 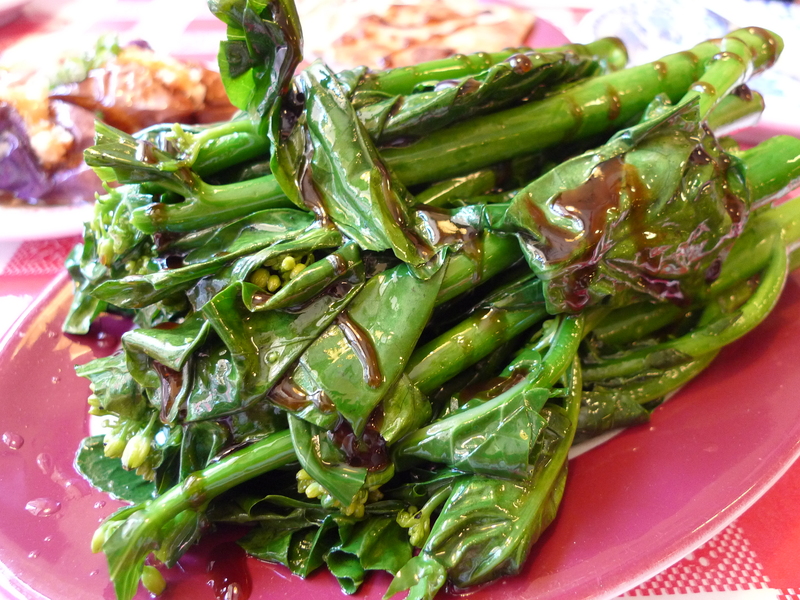 I always need to order a side of gai lan to balance out all the greasy pork and shrimp. This is a very classic and traditional preparation of the Chinese broccoli… and very easy to do at home!